3D printing also offers manufacturers an unprecedented level of control over their products, resulting in more finely tuned components, enclosures, and other 3D printed products. At Levison Enterprises, we offer a full range of 3D printing services to our clients, from prototype design to custom enclosure fabrication. Why Hire Levison Enterprises for 3D Printing? The CAD engineers and product designers at Levison Enterprises have expertise in crafting electronic components and staying competitive in the modern market with its demands for high-speed production and top-quality products. 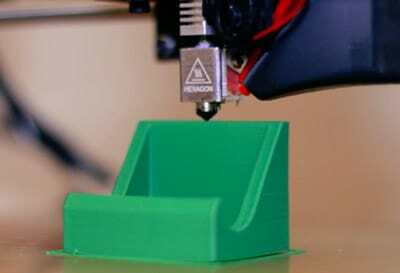 This means staying in tune with the latest technologies, and 3D printing is one of the most critical. Our 3D printing services allow us to meet exact project specifications for materials, design, and applications. As a leading provider of electronic components in a variety of industries, we know our customers need suppliers, vendors, and designers they can trust. Levison Enterprises strives to offer unsurpassed customer service and attention to detail in every order. While some may simply order premade or boxed options, Levison Enterprises’ custom 3D printed component can offer more value and better performance. 3D printing allows us to accelerate the prototyping phase, resulting in better-finished products at lower costs to our clients. Do you think your new product design could be more compact? Do you think you could cut down on raw material costs by creating a more streamlined and tightly constructed component? Levison Enterprises provides clients with extensive prototyping services, with 3D printing often playing a large role. If your project’s scope changes, we can alter an existing prototype easily and 3D print a new sample unit in a fraction of the typical time, and at less expense to your company. 3D printing is incredibly versatile, so all Levison Enterprises’ customers can utilize this technology to create outstanding finished products. Let Levison Enterprises’ unmatched commitment to client satisfaction shine through your next project and see what our 3D printing capabilities can do for you. Instead of fumbling with outdated fabrication methods with expensive raw materials, see how 3D printing can save you time and money on your next prototype. Enjoy a higher level of customization than has ever been possible with 3D printing services from Levison Enterprises.